Real estate investors can spend millions of dollars rehabbing properties over the course of their career. So if there is a way to save just 5% on rehabs, significant savings can be accumulated. That’s why we are excited about sharing our #1 method to cut rehab costs, and save thousands of dollars every year – use an artist. 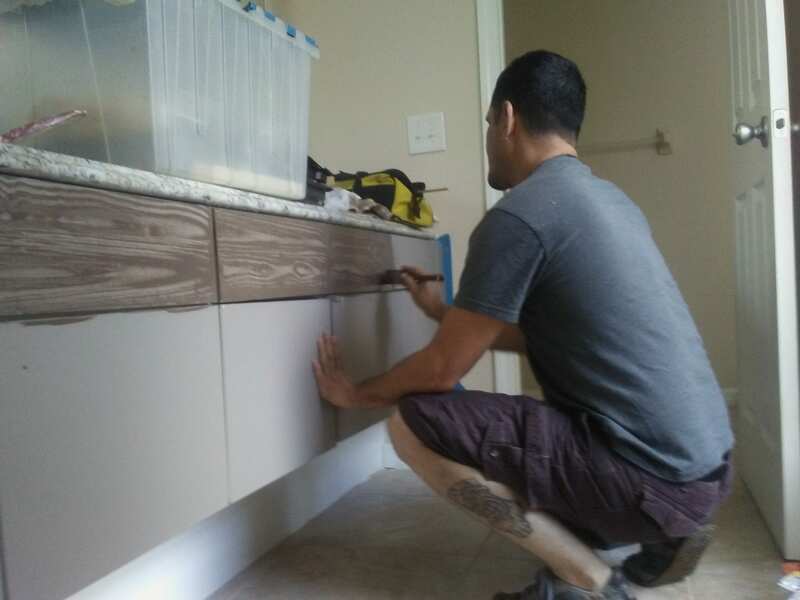 By using an artist, we rehab cabinets, vanities, doors, and other components of the property for a fraction of the cost, while also helping the environment with green rehab practices. As a result, therefore, we save thousands of dollars rehabbing properties, rather than buying new furnishings, while also contributing to the sustainability of the planet. Bathroom rehab costs add up quickly when replacing the shower and bathtub, painting the walls, replacing the doors, and replacing the vanity. 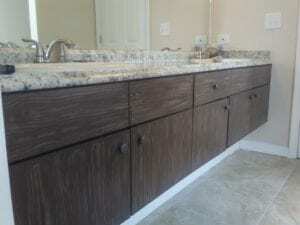 A new bathroom vanity, including the countertop, cabinets, fixtures, and sinks costs hundreds of dollars, besides the cost of demo and installation. Rather than spending all that money on labor and materials, we use an artist to rehab the vanity at a fraction of the cost. 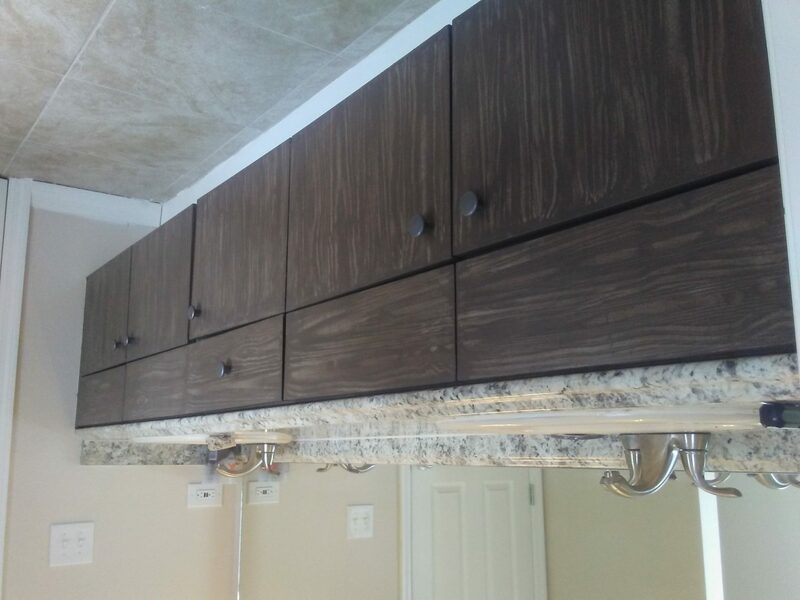 Just like the bathroom vanity, doors can be expensive to replace, especially exterior doors. 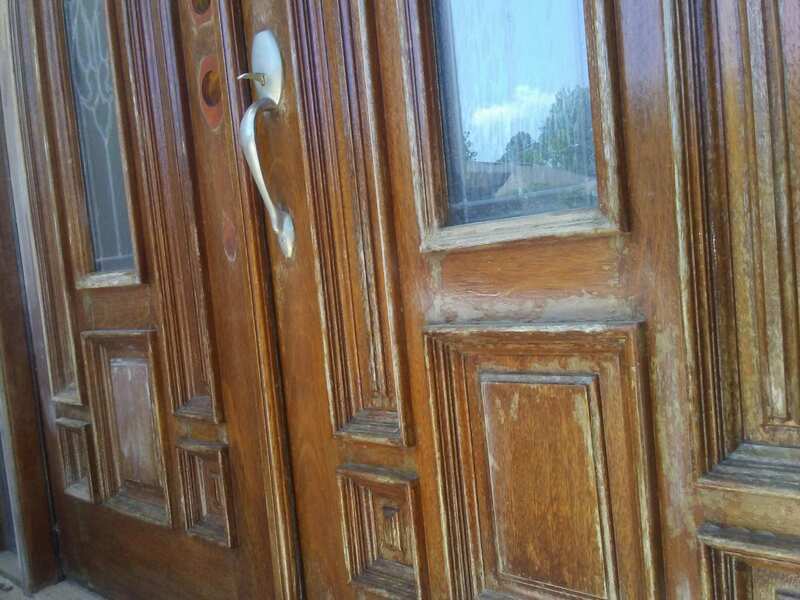 So rather than spending hundreds to thousands of dollars on a new door, investors can save a great deal of money by having an artist make the door look new again. 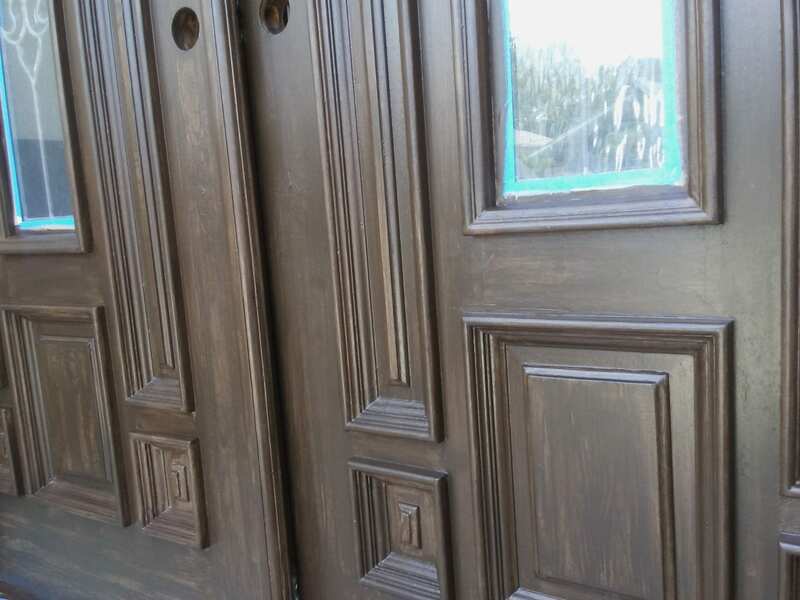 Here are before and after images showing exterior French doors restored by one of our artists. 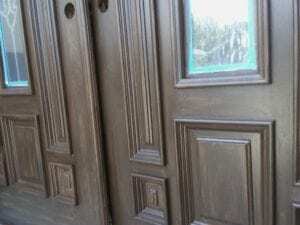 The restoration saved us a great deal of money, while also allowing another family to enjoy these beautiful doors. Updated kitchens and bathrooms sell houses, and are two of the most important things buyers and renters want in a home. 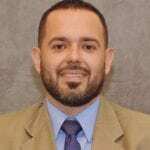 So how can a real estate investor save money and increase profits, while giving buyers and tenants what they want – use an artist when rehabbing the property. 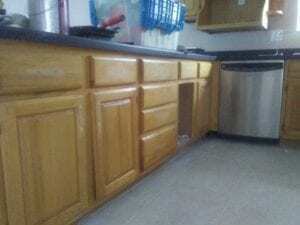 Here are before and after images of kitchen cabinets with a recently rehabbed investment property. 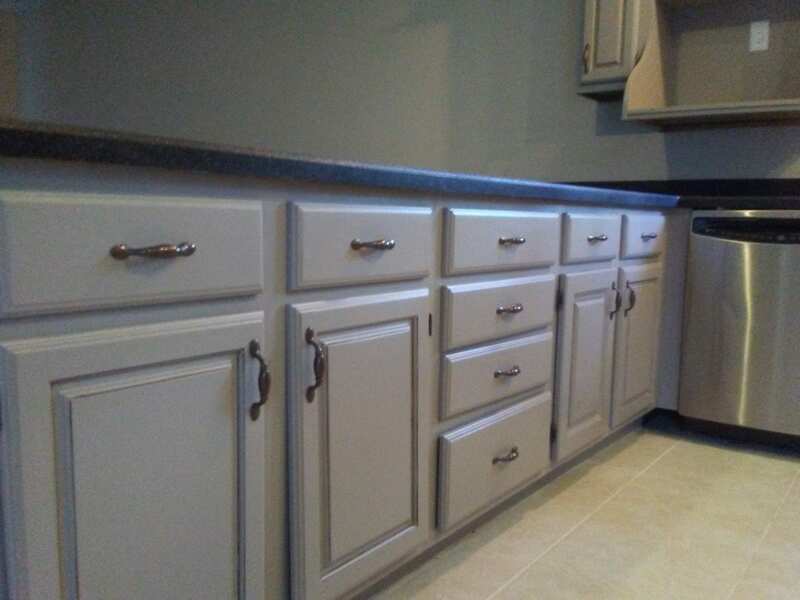 One of our rehab artists gave the cabinets a fresh, new, and up-to-date look, saving us hundreds of dollars. 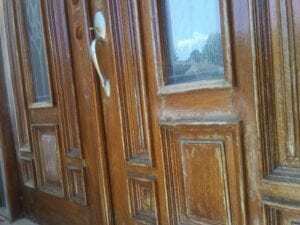 Real estate investors can increase their profits by using an artist when rehabbing a property, rather than replacing doors, cabinets, vanities, and more. Besides making more money, these investors can also promote sustainable practices, which helps future generations enjoy a healthier planet.